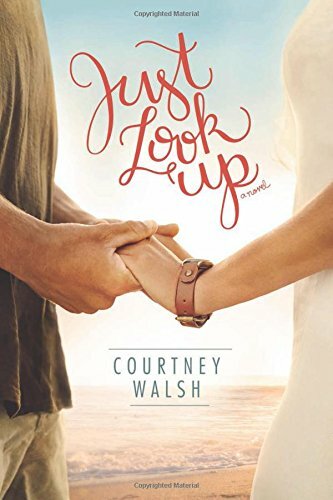 “Just Look Up” by Courtney Walsh is a novel that is set as a contemporary romance intended for a general audience about a 29-year old interior designer, Lane Kelley, who must face the demons of her past when she is forced to return home after her brother, Nate, is in a terrible accident. Back in her hometown she reunites with her parents and siblings, who she has been estranged from. She also comes face to face with Ryan Brooks, one of the few bright spots from her childhood. Over the course of the next few months Lane will embark on a journey of self-discovery so she can find out who she truly is and where she belongs. Perhaps, then returning home will be a blessing she never knew she needed, or wanted. There are so many good things about this novel, but there are also some things that hinder it from being a truly great book. First, I find that while Walsh sets a good pacing in her writing, she sometimes falls into a habit of doing more telling with her writing than showing. It wasn’t enough to really disrupt the flow of the story, but I believe that the book could have been shortened a little bit if some of that telling had been shown instead. It also led to some instances of repetitiveness that was distracting at times. There are two main issues I had with “Just Look Up.” The first is the stance on body image. This book could be very triggering for readers. Over the course of the novel we learn that our main character, Lane, struggled with her weight as a teenager, which is not uncommon for a lot of young women. The problem I had with Walsh’s portrayal was not only Lane’s stance on the value of her worth being so focused on the size of her clothes, but also in the way her parents and town members spoke about how “fat” she was. We never specifically find out how overweight Lane is, and while I understand this is not the priority of the story, it unnerves me because as a young woman who is also considered overweight, I do not feel that it degrades me or lowers my worth as a person. I’m a size 14, which is considered average in America, though still overweight. I was active as a child in sports, yet my build and genetics, as well as medications I take, mean that for me being healthy doesn’t have to correlate with being thin. This I believe is true for a lot of American citizens. Lane’s body image insecurities, while I’m sure unintentional, may be offending to readers who have similar insecurities. I just think that there could have been alternative ways to either phrase dialogue or frame Lane’s insecurities without having underlying messages of fat shaming in the text. The second issue is the stance on mental health disorders such as anxiety. Due to being ridiculed as a child and feeling like an outsider in her family, Lane definitely exhibits some prime symptoms of anxiety, specifically in social settings. On page 134, while discussing some of these challenges with her brother, Jeremy, and Ryan, Jeremy is given a line of dialogue stating that a disorder like social anxiety does not actually exist. This kind of language is dangerous because it stigmatizes mental health issues. Also, the fact that going into the heart of the book meant that less discussion was spent on Lane’s social insecurities showed that while an important facet of Lane’s characterization, it obviously was not one of Walsh’s main themes of the book. Again, this kind of language, as similar to the stances on body image, can be both triggering and offensive to readers. Anxiety disorders can be inherited or brought upon by stressful life situations or a traumatic experience. They are caused by chemical imbalances in the brain, such as in the levels of serotonin in the brain. I am familiar with this as someone who was diagnosed with an anxiety disorder at age 16. My points in this review are not meant to take a political stance or criticize the author in a way that is vengeful. Instead, I share these insights in the hopes that more awareness is given to the ways in which we speak about things such as body image and mental illness, which are becoming more common and are commonly connected. The overall arc of the story is actually very well written and I enjoyed the plot. The characters were well developed and the novel had a ‘Hallmark’ kind of air to it, which I enjoy since I grew up watching Hallmark movies with my parents. It is for these reasons why I chose to give the novel a neutral rating of 3 out of 5, since I did like the overall idea of the story. I believe that many of the reasons why we write books in the first place is to help educate people on an aspect of life we feel strongly about, and in return, as readers, we read books in order to learn more about the world around us and about ourselves as individuals in a complex mainstream society. “Just Look Up” by Courtney Walsh has the potential to be a really fantastic novel that could appeal to many. I think it would just be beneficial for the author, publisher, and the novel itself to really think about some of the underlying messages being conveyed in the book and whether or not those are really the messages they want to send their readers.